Nursing and midwifery vacancies in NHS Grampian are the highest in the country, according to the latest government workforce figures. The average Scottish nursing and midwifery vacancy rate is 4.5% – the highest ever reported – and in Grampian the rate is nearly double at 8.3%. Royal College of Nursing (RCN) associate director Norman Provan said it was clear there were not enough nurses. He said: “Today’s figures reflect the challenge faced by Scotland’s NHS. “Across both acute and community settings, there are simply too few nurses. 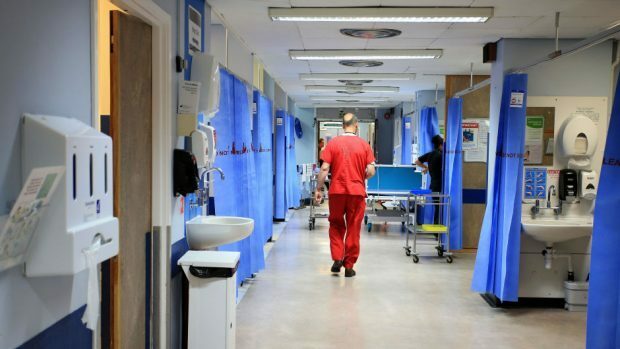 “The Scottish Government can point to the increase in the number of nursing and midwifery staff, but the reality on the ground is nurses wanting to do their very best for patients are too often coming up against the reality of vacancies in the workforce. “Nursing morale is low, and teams are struggling to recruit and retain the staff they need. “The 1% cap on nursing pay is adding to the anger of nurses who are working under enormous pressure, constantly being asked to do more with less. In Grampian, there were 473 nursing and midwifery vacancies – with 276 in adult nursing, 75 in mental health and 43 in children’s nursing – and 176 vacancies left unfilled for three months or more. Across Scotland there were 2,819 vacant nursing and midwifery posts, with 670 vacant for three months or more – a 51.3% increase from March 2016 to March 2017. Health Secretary Shona Robison said: “Part of the increase in vacancies is due to the creation of new posts in health boards, mainly as a result of information from our mandatory nursing workforce planning tools, which help health boards to plan their staffing. “We’re committed to training and retaining our nursing staff and earlier this year we confirmed a 4.7% increase in trainee nurses and midwives for 2017/18 – a fifth successive rise. But Scottish Labour health spokesman Anas Sarwar said vacancy rates were shameful. He said: “We are now seeing the highest level of unfilled posts for nurses and midwives on record. “The SNP workforce crisis is getting worse. No wonder nurses are heckling Nicola Sturgeon at TV appearances.